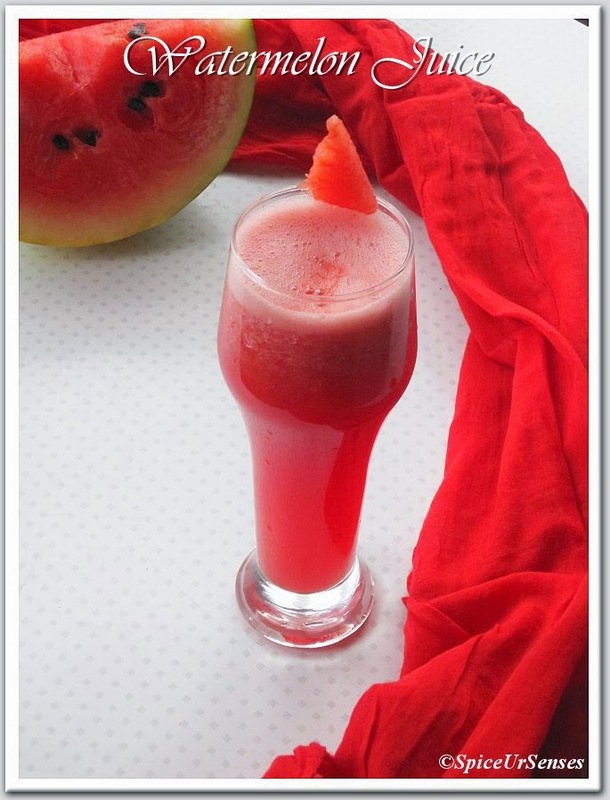 Watermelon juice. A watermelon contains about 6% sugar and 91% water by weight. As with many other fruits, it is a source of vitamin C. The amino-acid citrulline was first extracted from watermelon and analysed. 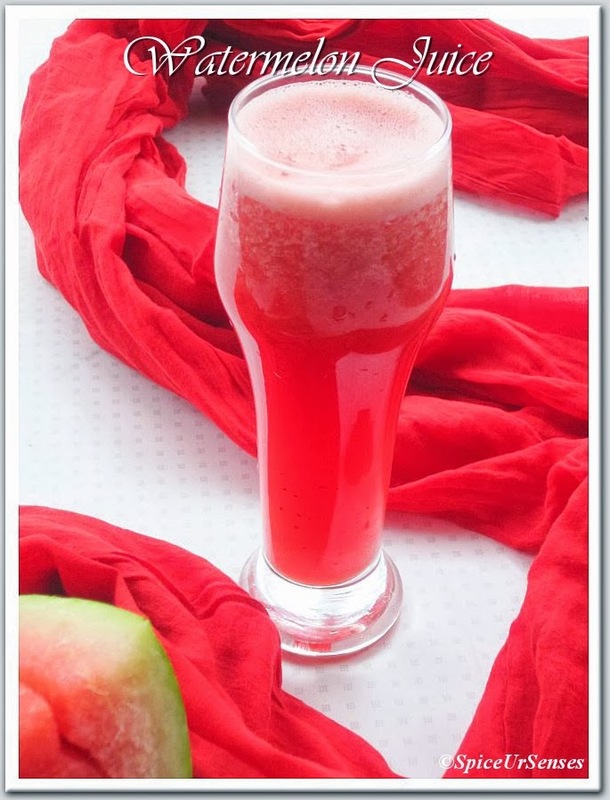 Watermelons contain a significant amount of citrulline and after consumption of several kilograms, an elevated concentration is measured in the blood plasma; this could be mistaken for citrullinaemia or other urea cycle disorders. 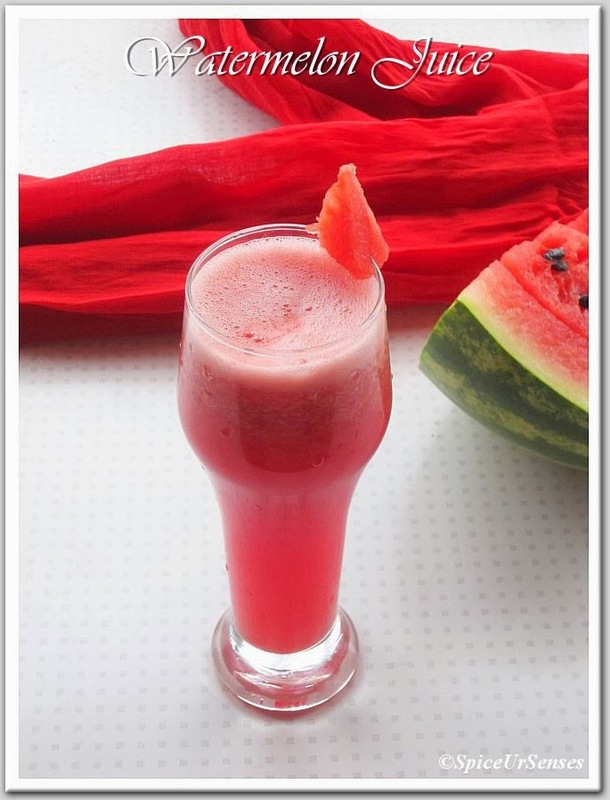 Watermelon is mildly diuretic and contains large amounts of carotenoids. Watermelon with red flesh is a significant source of lycopene. Preliminary research indicates the consumption of watermelon may have anti-hypertensive effects... Source from Wikipedia..
Takw out flash from watermelon. Remove the seeds. 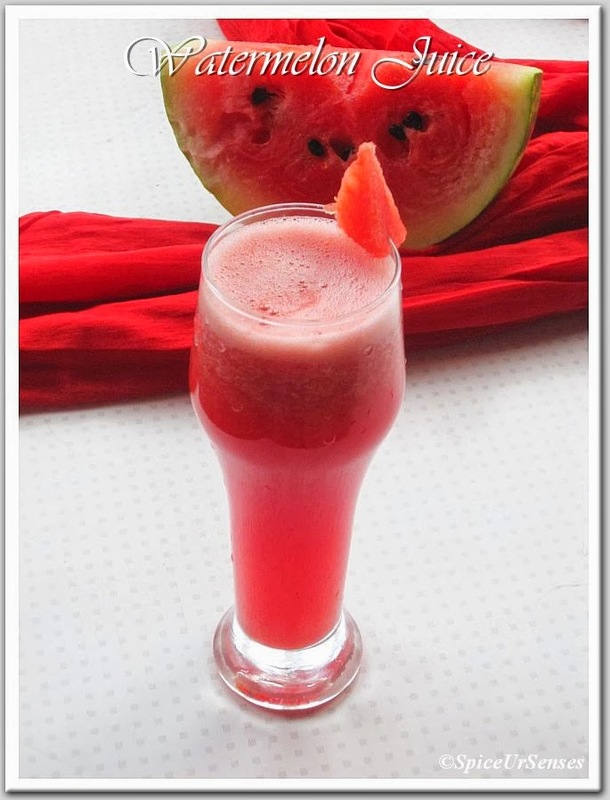 Cut the melon into small pieces and put them into a mixer/blender, add Sugar, lemon juice and ice cubes blend it fine. healthy refreshing drink. Well presented. 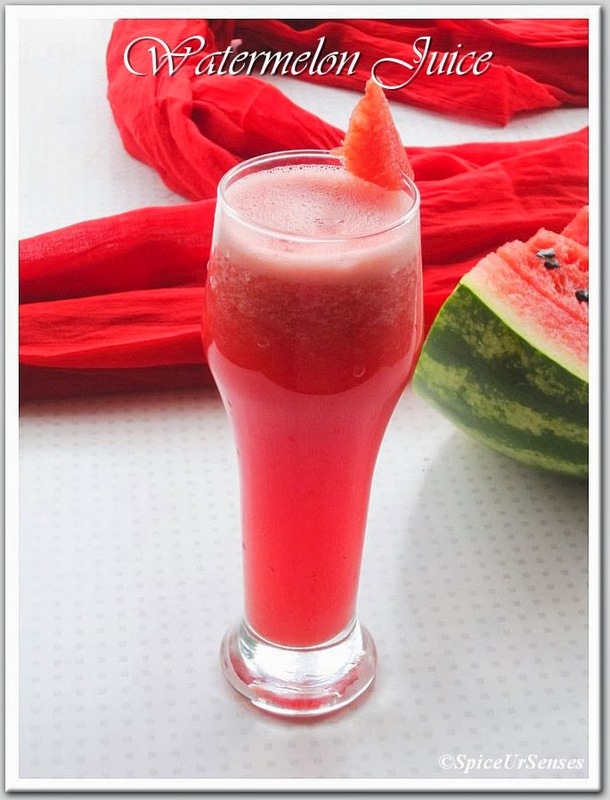 Delicious and refreshingly colorful looking watermelon juice. wow wonderful shot and so refreshing juice :) I wud love this tall glass of juice right away !! Here v have seedless and sweet watermelons so juice is always sweet. Very tempting juice.